IoT (Internet of Things) is the new buzzword in the job market. According to a latest survey IoT has over taken big data recently and some roles like IoT product manager, IoT architect and developer-IoT are some of the emerging job roles within the IT industry. 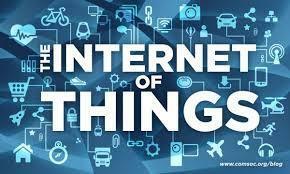 IoT is defined as internet-enabling devices and systems that enable consumers to use them via a simple web browser or mobile app. IT companies are working hard to create unique products to beat their competitors with the tech revolution. Senior Developer IoT job role: Development of IoT solutions for the customers. Coordinating with customers and working on Proof of Concepts (PoCs) Working on technical requirements of IoT platforms Able to learn new technologies with zeal to learning by helping customers gain creative insights into their data and share those insights with team.